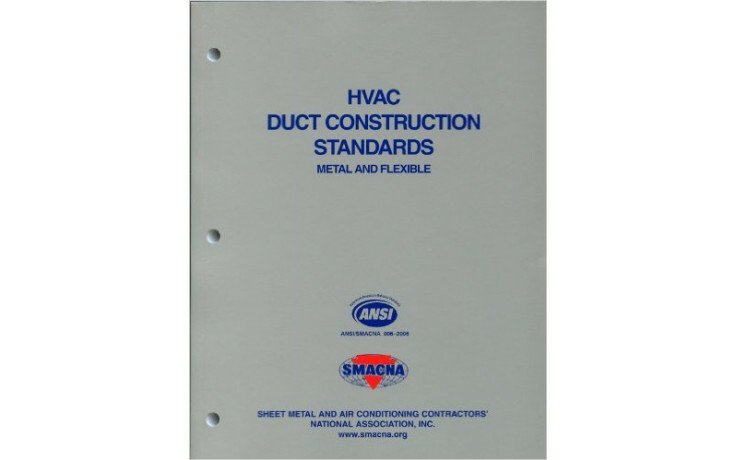 The third edition of the HVAC Duct Construction Standards Metal and Flexible is intended primarily for commercial and institutional duct construction. The standard contains tables and details for constructing ductwork for ½ to 10 wg positive and negative pressures. This edition improves upon the second edition with expanded pressure class tables, separate tables for TDC/TDF construction and expanded tables for round duct construction including 6 wg positive and negative pressure and sizes up to 96. New in this edition is an engineering and design chapter to provide additional information to design professionals, double-wall construction details, new casing construction details and additional accessory items. The standard is applicable for construction using uncoated steel, galvanized and stainless steels and a limited range of aluminum ducts. This standard has been adopted in the ICC International Mechanical Code. Includes soft metrics.